1 Corinthians 4:14-16 says, "I do not write these things to shame you, but as my beloved children I warn you. For though you might have ten thousand instructors in Christ, yet you do not have many fathers; for in Christ Jesus I have begotten you through the gospel. Therefore I urge you, imitate me." It takes nine months to give birth to a child, but it takes a lifetime of responsibility and investment to raise a child to become a productive human being. Children are not designed for self-raising, they need to be nurtured to become emotionally mature, successful, productive, and well-adjusted adults. And that takes training. 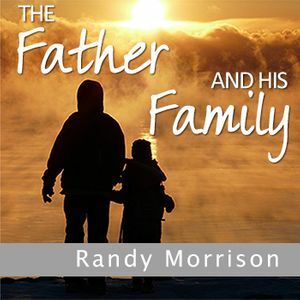 In this message, Pastor Randy Morrison discusses the role of the father and his family, using biblical teaching from the Word of God. This message is a must-have for all fathers!